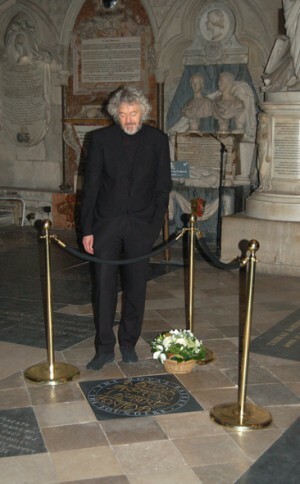 Positioned near Poet’s Corner in Westminster Abbey, Stephen’s design was unveiled at a special service on Tuesday 17 November 2009. His commission was to celebrate the four founders of the Royal Ballet: Dame Ninette de Valois, Sir Frederick Ashton, Constant Lambert and Dame Margot Fonteyn. 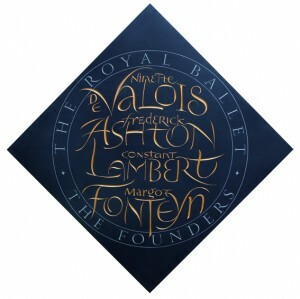 Stephen has done this using his distinctive lettering style contrasting with formal capitals for the words THE ROYAL BALLET, THE FOUNDERS - see photo. The stone’s champion, Sir John Tooley (past director of The Royal Opera House), had sought a fitting memorial to the founders in the Abbey for many years. 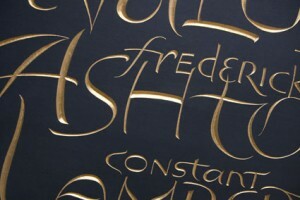 He worked closely with Stephen and successfully saw the design through the various committees. 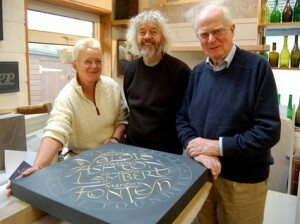 Stephen’s design, cut in Cumbrian slate by one of Britain’s leading letter cutters, Annet Stirling of Incisive Letterwork, also has the added attraction of having the four names in gold. 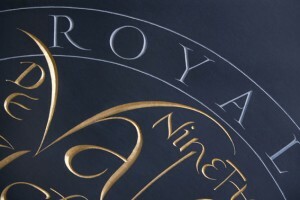 This is the first such use of gilding in an Abbey floor memorial. The expectation is that many from the world of ballet, including people who just simply love the art of dancing, will go to the Abbey to see the memorial stone and pay their respects.